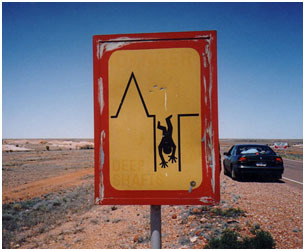 In an attempt to lighten up your day and also replace the image from my previous post that could sear the insides of your corneas, I found an article on weird signs (http://lifeinc.today.com/_news/2012/08/30/13553692-weird-road-signs-contest-which-one-is-wackiest?lite ). 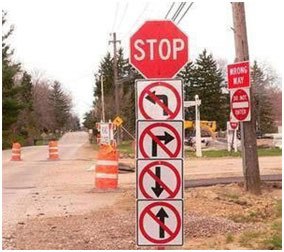 You really can’t get there from here. 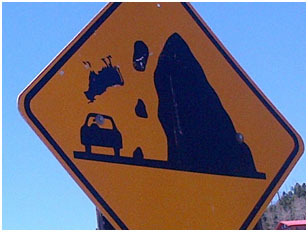 Warning sign at the entrance to the “Bovine Chucking” contest. This entry was posted in Humbug! and tagged daily life, humor, weird signs. Bookmark the permalink. These are great. Loved the “No Hooking” one. One night about a year and a half ago I was hanging out with my friends in the East Village here in New York City when we noticed a walk/don’t walk sign reworked to look like a walk/middle finger sign. Ah ha! The walk/FU sign. Once when working a summer job years ago with some lab technicians, we connected a red panic button to a light that lit up a middle finger. It proved most useful. I think a light like that would prove highly marketable in today’s world. Haha!! I thought maybe they were playing leap frog? I don’t think I’ve ever seen a pink sign, either. They must use that color only in areas of high “hooking” traffic. This is a topic for which I will not do research. e) They are in a two man truck slalom. d) They both have to bend over because they cannot stand up in the truck.